Harry is only 3 and has spent most of his life in hospital due to his life limiting condition. He has undiagnosed Neuromuscular Disorder and Global Development Delay with respiratory and feeding difficulties. He now has a care package set up and will be able to come home to live with his parents and elder brother. Harry’s mum has had to stop working as he needs two carers at all times. He has been given a functional chair to help with his development but sadly an easy chair is not available from public funds. Harry’s hypotonia (floppy baby syndrome) and muscle weakness means that he desperately needs a specialised seating system. 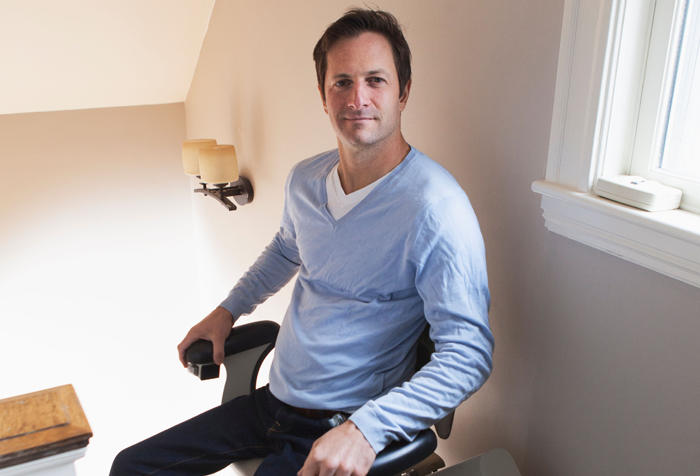 His Occupational Therapist suggested a P Pod chair would be of immense help. We made a grant of £500 towards Harry’s P Pod chair, which will greatly aid posture management and improve his comfort at home. 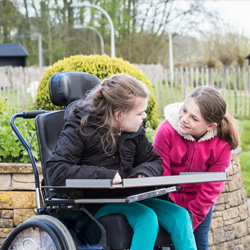 Katie is 8 years old and has a neurological disorder, learning disability and Cerebral Palsy. She lives at home with her parents and older brother and is unable to communicate verbally. Both she and her brother are severely disabled and need round the clock care from their parents for their needs. Both are also wheelchair users and have to be carried up and down the stairs, which proves very difficult on a day to day basis. The family needed to have access to a downstairs bedroom and bathroom to be able to continue providing care for Katie and her brother at home. Despite Disabled Facilities Grant Funding and a mortgage extension, the family were still short of £5,000 which they simply didn’t have. Independence at Home made a contribution of £500 towards the ground level adaptation and together with funding from other charities, the house adaptations were completed. 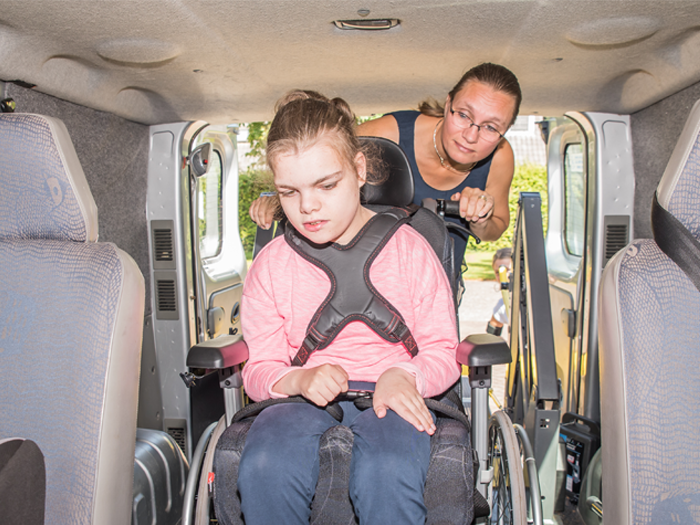 Katie and her brother can now receive the care they need in a much safer and comfortable setting. This also helps their parents to better manage their everyday needs. Steven is 28 and has Cystic Fibrosis. 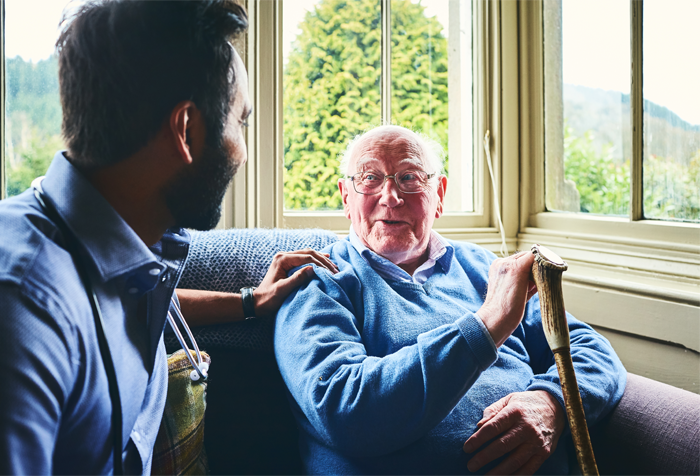 After a lengthy hospital stay he returned back to his family home. 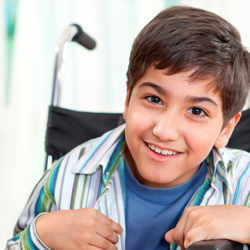 He becomes tired very easily due to his substantially reduced lung function and this also affects his mobility. Once back at home, Steven found he couldn’t access his bedroom upstairs without great difficulty. A £500 grant towards a stair lift has now made a positive difference to his daily life. Steven can now go upstairs to his bedroom whenever he wants to with greater comfort and safety. In her late fifties, Lisa has Parkinson’s disease and Bi-Polar Affective Disorder. 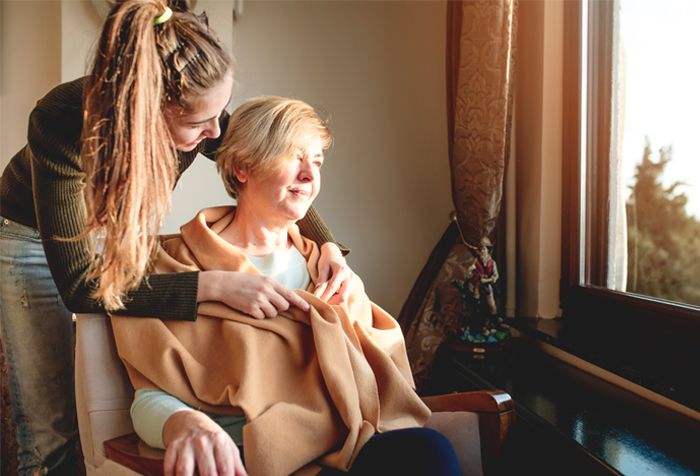 Her Parkinson’s is advanced and so she needs help with all personal care at home. 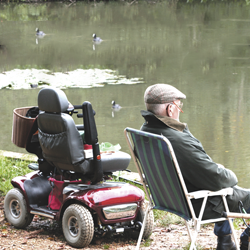 Lisa needs a wheelchair when outdoors and struggles to move around at home without help. She often gets stuck in one place when she walks short distances and has to be pulled forward. Her Support Worker contacted us and explained that Lisa spends most of her day in a chair which is uncomfortable and very bad for her posture and that without assistance, she can’t sit and stand. We made a grant of £400 towards a riser recliner chair, which will help Lisa to move from sitting to standing with greater comfort, safety and independence. In her 70’s, Nancy lives alone and is registered blind. 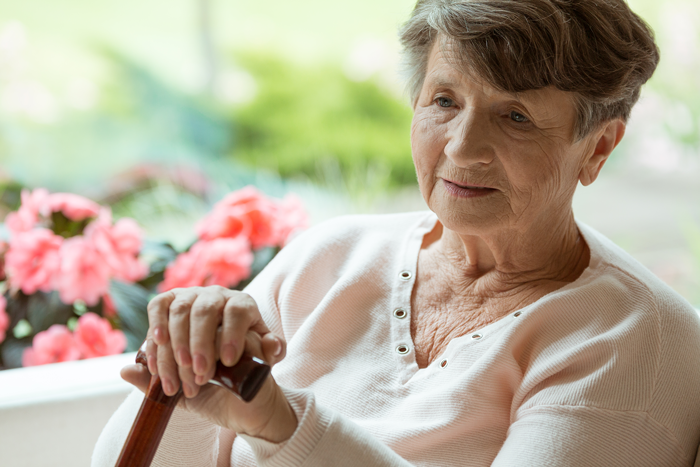 Following a stroke she has physical weakness down one side and is also in pain due to severe arthritis. She is on benefits and used all her savings to move to a new flat that would better met her needs as a full time powered wheelchair user. Sadly, she has had to sleep in her wheelchair for more than five months because she can’t afford to buy a bed. Nancy’s Rehab and Mobility Officer contacted us to explain the situation at home and to ask for our help. We made a grant of £474 which was used towards the purchase of a new adjustable bed. Nancy can finally get a comfortable night’s sleep in her new home. Octogenarian Malcolm has Dementia and Parkinson’s disease. He lives with his wife at their daughter and son-in-law’s home. They moved in with their daughter because they needed help to cope with everyday living and she became their prime carer. Unfortunately Malcolm has become immobile. He is unable to use the stairs and a stair lift would be very unsafe for him to use. A downstairs extension was approved by the Local Authority, providing access to a bathroom and bedroom but they needed help to install a shower. 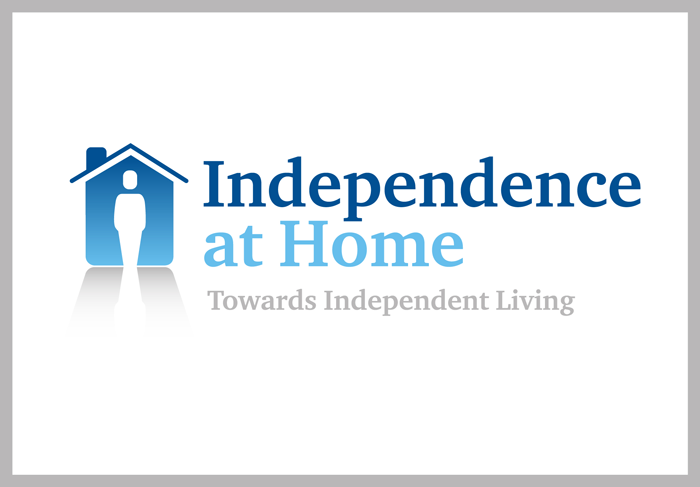 Independence at Home was happy to make a grant of £500 towards a level access shower and this will greatly help Malcolm to retain some independence and dignity at home.